PlayStation Blog advises us that you can now secure your copy of God of War III Remastered for the PlayStation 4. Both physical and digital versions are available with some incentives to get your pre-order in sooner rather than later. If you haven’t played the first two installments in the God of War franchise, or would happily play them again, your pre-order will get you a free PlayStation Now rental of both games for 90 days. You can access these via Sony’s cloud-based streaming service. You’ll also get a bonus dynamic theme “Fall of Olympus”. If you live in North America you will actually receive access to your dynamic theme early on May 26th. Of course, this is only if you ordered through the PlayStation Network. 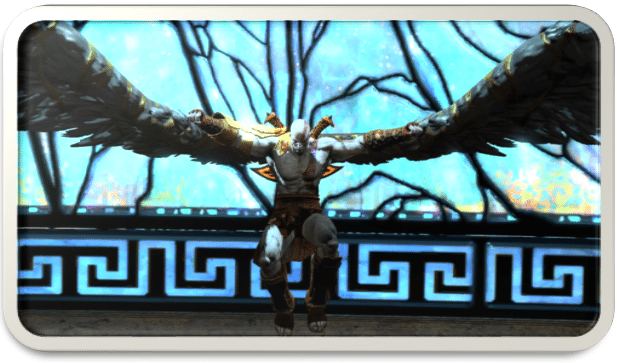 God of War III Remastered is now available for pre-order, and doing so will get you a handful of bonuses. These include a new dynamic theme and a free PlayStation Now rentals for the first two God of War titles.